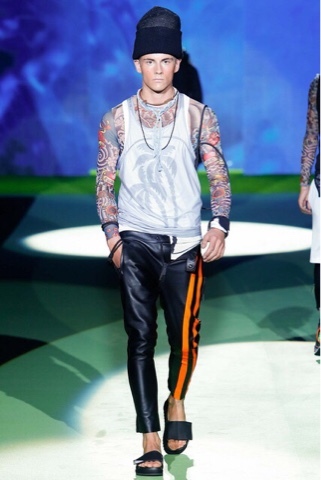 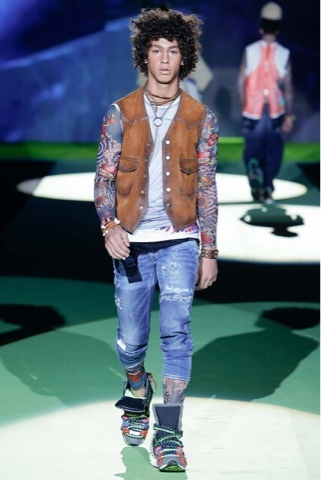 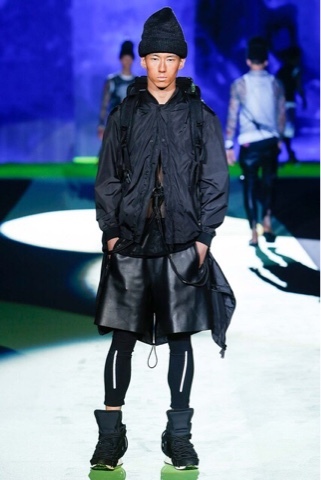 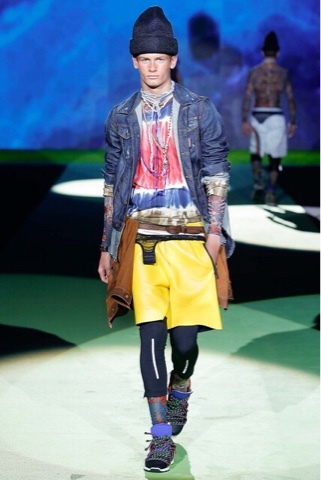 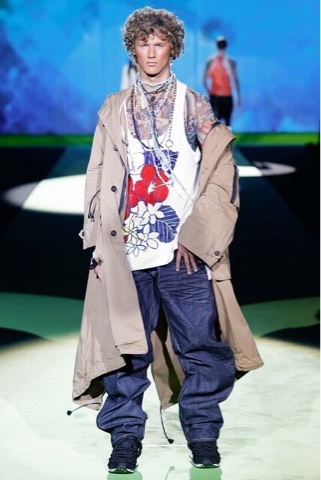 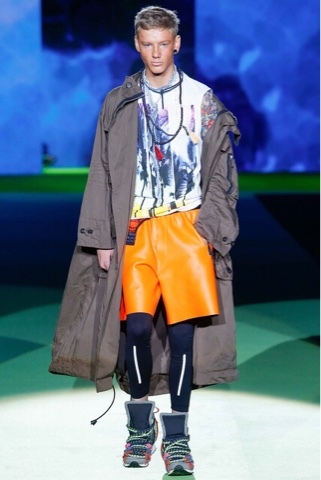 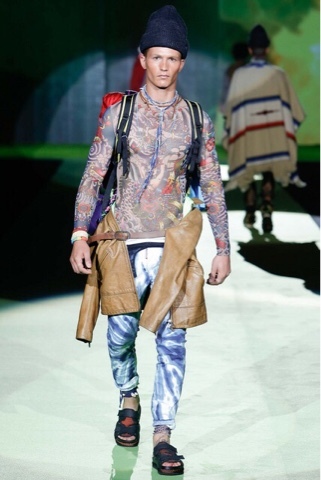 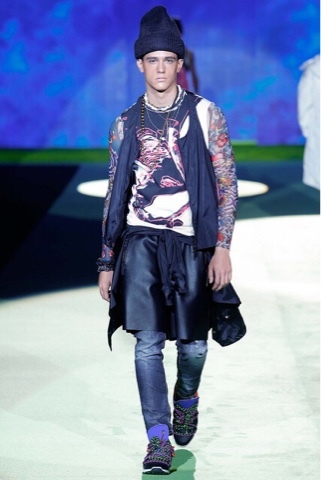 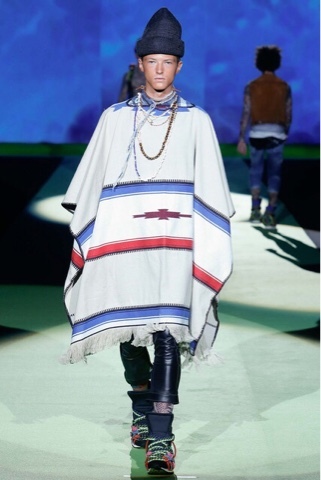 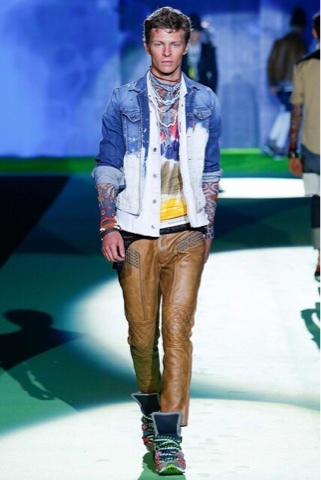 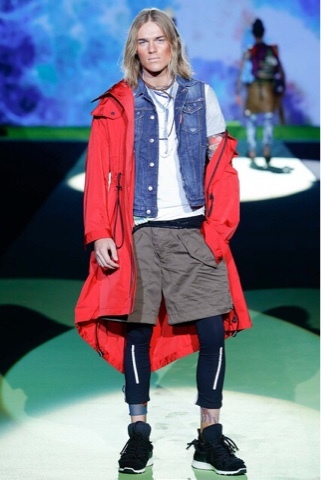 The theme for Dsquared was surfer mixed with leather shorts and leggings, oversized anorak jackets, and baggy denim. 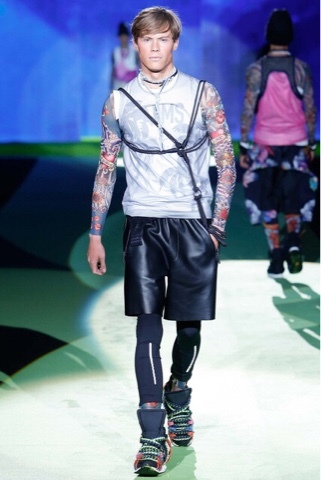 I always love their shows and the leather shorts over the denim and leather leggings definitely caught my eye. 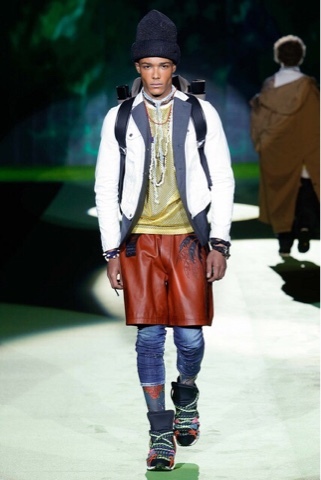 I also liked the brown leather pieces with the studs. 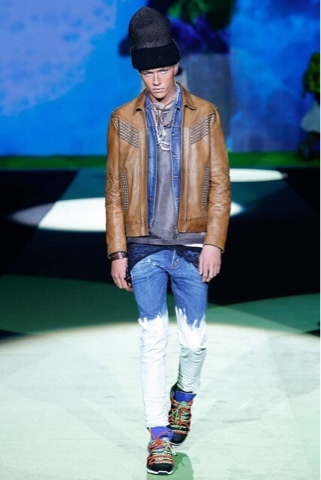 Dsquared never fails with the styling, a lot of these looks I would wear straight off the runway.